Sanctuary Retreats originated in Africa with the introduction of our first luxury safari camp, Sanctuary Olonana in Kenya, in 1999. Today, the Sanctuary Retreats portfolio of luxury safari lodges and expedition ships offers a much broader choice of luxury journeys to our guests. We assure adventure, enchantment and ‘Luxury, naturally,’ all delivered with a quiet, discreet charm and local insight. Sanctuary Retreats’ lodges and camps are set in some of the most stunning and untouched areas of Africa. A complete commitment to conservation means guests can visit these last great wildernesses with the knowledge that they are leaving no lasting impact. Sanctuary Retreats Philanthropy (SRP) builds on-going relationships with the rural communities in the areas where we operate. Our aim is to find and sponsor long-term, feasible and self-sustaining projects that will have the support of our visitors and our staff. Read about ‘Walking with Elephants’ at Stanley’s Camp and Baines Camp. 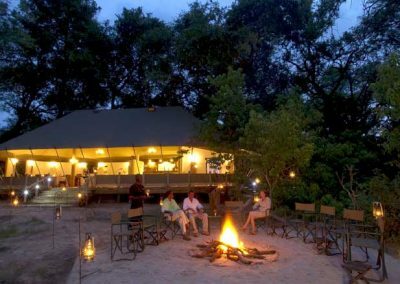 Our lodges and camps are located in Botswana, Zambia, Uganda, Kenya and Tanzania. With skilled guides and luxurious, individual properties, Sanctuary Retreats provides an unmatched way to experience the captivating heart of Africa.